We didn’t plan on it, but living just three hours south of Vancouver, we realized we’d be crazy not to visit during the Olympics. Today was the day. 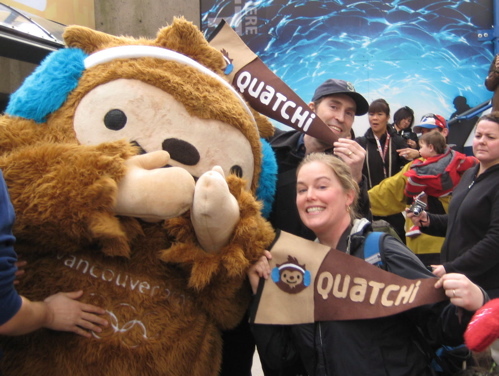 Quatchi was flattered by our pennants!